Have you ever met someone who instantly makes you feel like you're their best friend, like they would do anything in the world for you? I know it might sound a bit weird but that's how it was when I first met Tania, one of the owners of Hot Coals. She took a genuine interest in me and this might be exaggerating slightly but I think she might have cut off her right arm for me if she didn't need it to stir the cooking. When Tania told me about her catering firm in Hurstbridge I mistakenly thought it was a backyard spit roast business. But how wrong could I be? 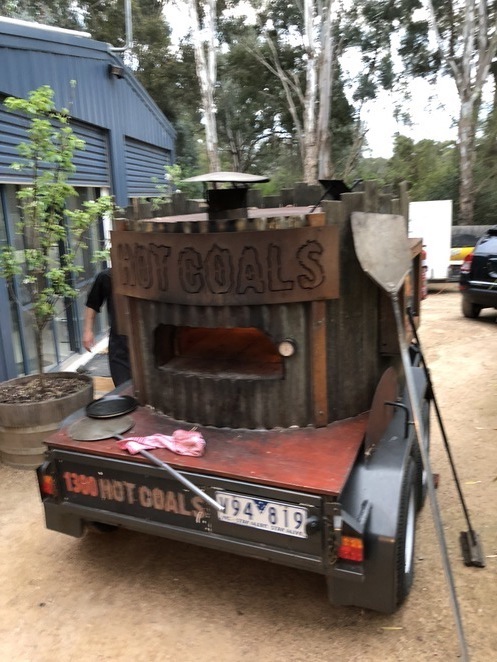 Hot Coals are thriving authentic, wood fired catering specialists with all the top gear. They will come to you and make your function stand out from the crowd. They live their slogan- Stress Free Catering – Above and Beyond. With over 40 years of catering experience, Tania and Richard love to cook and entertain. They aim to make your event or function simple with the freshest, highest quality, creative food. If for some reason you can't find what you love on their very extensive menu, they will tailor packages just for you. I am so thrilled I have been privy to their tasting nights. What a clever idea! The menu consists of about 10 savoury chefs choices samples and a selection of petite desserts. It is meant to make the food selection easier. It certainly makes it a tastier process but what if you love everything? I think you will be impressed from the minute the door is opened because their charming host is there to greet everyone with a wide smile and a hug. Uncharacteristically of most restaurants, the staff remembered me by name the whole night...And it's not because I had a few too many to drink. Be warned- all the food on the tasting nights is irresistible. It sounds impossible but believe me, you won't be able to resist any of the dishes. They were all impeccable so eat lightly that day. Tonight the menu consisted of antipasto platter of cheeses cold meats nuts, dried fruit, dips and pickled vegetables. A spicy Thai green beef curry with rice was served in coconut leaves. I think my favourite was the caramelised onion and goats cheese tart. I've never tasted anything like the homemade pastry and am regretting I didn't have a second. My second best selection for the night was the unique bruschetta. This was followed by a selection of popular pizzas. I enjoyed the vegetarian and I heard someone comment very favourably about the Bushman's pizza. The crust was cooked to perfection. I have to think again about the tart because the duck arancini was the best arancini I've ever tasted …and I frequently choose them when I'm out. Maybe it was the Mersey Valley cheese? But wait there's more. These were followed by mini hamburgers with the beetroot, cheese, tomato, lettuce and tomato sauce. The guest next to me said they were his favourite for the night. And then… lamb cutlets marinated in honey sesame oil and garlic was followed by delicious prawn skewers. And last but not least, cashew and parsley crumbed chicken with fries. Move over KFC - I've found a tastier chicken and way more classy. Can you see how good that chicken crumbing is? If it hadn't been so damn good, I would never have been able to get through half of those items, let alone a test out at least three different mini desserts. My favourite dessert was probably the lemon slice and I wish I could have devoured many pieces of it. On the recommendation of another diner, I had to sample the rocky road and the chocolate cups with fruit. They also served other desserts and I may have sampled the panacotta if I wasn't so self-conscious of all the food I had eaten. It would be remiss of me not to mention the magnificent venue named Hurstbridge Haven, hidden away in a tranquil bush setting. The name pretty much sums up the heavenly setting. It has the effect of being instantly welcoming and relaxing… just like coming home. Incredibly, this is Tania and Richard's home and is frequently used for events and functions. They love to entertain and they are the masters. This open plan high ceilings have many exposed timber beams, black shiny surfaces and correlated iron. This home has been purposely built for entertaining and teaching cooking. I wish I lived there. I wonder if there's any chance of adoption? What a fabulous night. Not just for those planning an event but for anyone who would like an intimate dinner or many other occasions. On the way home, I was trying to sum up some of the great features of the tasting night. I hope I do it justice: so here goes. The tasting nights are ideal for anyone who loves great food, enjoys casual dining, meeting new people, planning an event or would like private intimate dinner (next to the pool, the large pit fire, Bali style hut or in the lounge or dining room—there's plenty of space to spread around). Hot Coals must have the best customer service and staff ratio - I felt well and truly pampered and I have to say I'm pretty picky about customer service. The staff are full of smiles, laughing, checking how you're going, offering seconds and remembering names. I was telling a friend the other night that we have to make up an excuse to have an event at Hurstbridge Haven. You have to go to Hurstbridge Haven's Hot Coals for a tasting night! Tania is a down to earth Sheila married to a top bloke who will make you feel like you deserve to be spoilt while serving top-notch grub. I promise you won't be disappointed. In fact, I guarantee your expectations will be well and truly exceeded. Hurstbridge Haven also offers accommodation with food and transport services for visitors. Wine and cheese platters, breakfast hampers and gourmet three-course meals can be arranged. If you really want to indulge yourself, you can book one of their chauffeur-driven winery tours with a picnic basket and an in-house massage for two. Go on, allow yourself to be pampered. 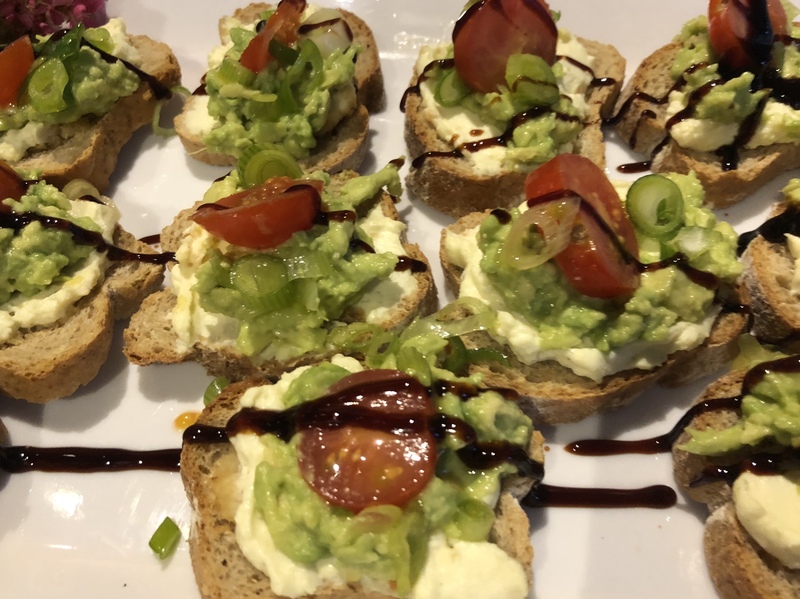 Great article Jeni, looks delicious! This sounds DIVINE!!! Which I could go there!